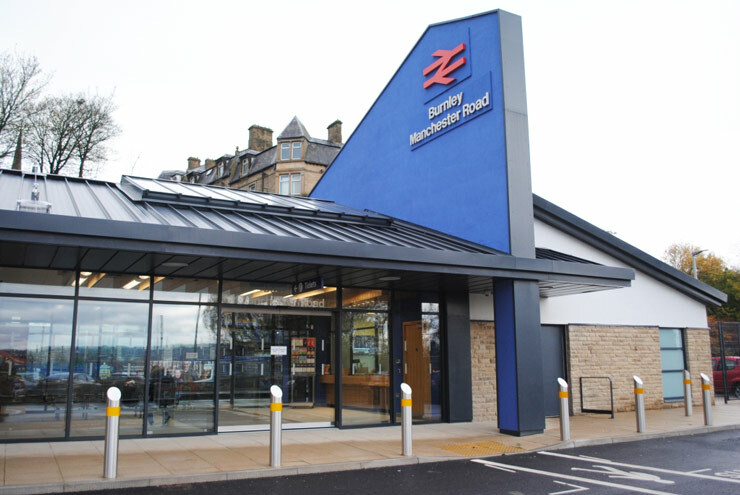 Burnley Manchester Road’s fantastic new station building opened its doors to the public today (17th November 2014). 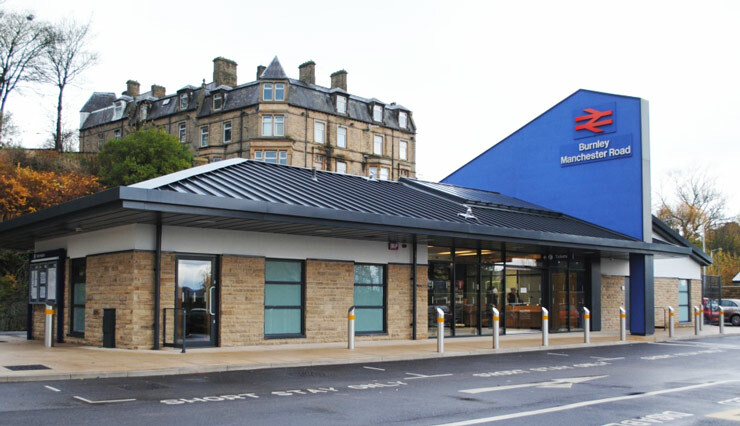 Built with the help of funding from Citizens’ Rail as part of the EU Interreg IVB programme, the new building will transform the town’s busiest station and aid Burnley’s economic regeneration. The first ticket sold (00033) was to a business man travelling to York. The opening coincides with the trip of a lifetime to Germany and the Netherlands being undertaken by Lancashire school children – also as part of Citizens’ Rail. Burnley Manchester Road station closed in 1961, and since re-opening in 1986 has been unstaffed and without an operational station building. To make matters worse, its built-up surroundings impinged on the visibility of the station, which was largely hidden from the busy main road. As a result, Burnley Manchester Road was anonymous within the town. With the station “out of sight and out of mind”, it was all too easy for rail to become a forgotten transport option for many. In 2011, Burnley Borough Council purchased the former station building, used for many years as a dairy after the station closed in the 1960s. Funding from the Interreg IVB programme, Burnley Borough Council and Lancashire County Council has enabled this to be replaced by a new building. The decision to rebuild followed a sustainability assessment as part of another Interreg IVB project, SusStation (Sustainable Stations). One of the crucial elements of the new building’s design is its distinctive blue fin. This eye-catching feature has hugely improved the visibility of the station within the surrounding area. It has also given Burnley Manchester Road its own look and identity within the town. The fin was proposed by the French partner in Citizens’ Rail, Pays de la Loire, in an example of the transnational collaboration that lies at the heart of the Interreg IVB programme. The building has already attracted strong interest within the rail sector. Visitors have included a special advisor to the UK government’s Department for Transport, who praised the station for its visual appearance and its modular design. The modular nature of the station means that it could become a template that could be expanded or contracted to suit the local circumstances of other stations. So perhaps in future we will see more blue fins cropping up across the UK and even beyond. 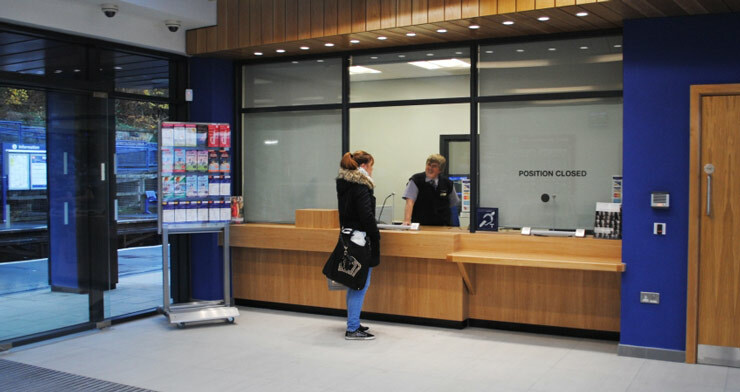 The station’s profile and importance will grow even further in 2015, with the advent of the new direct service between Burnley and Manchester.